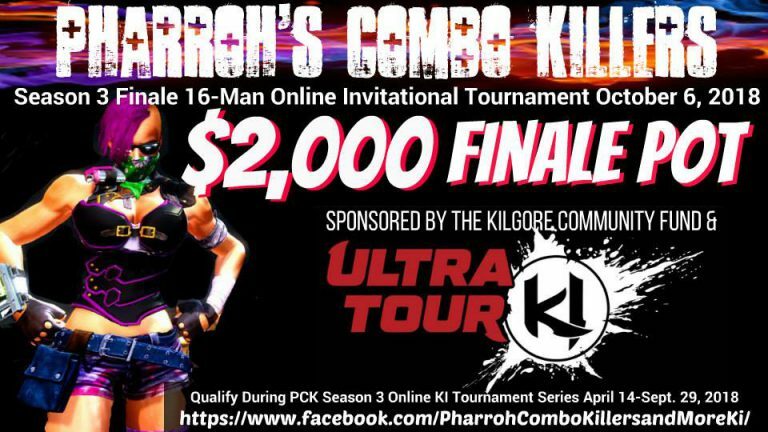 We are happy to announced that #PCK Season 3 finale is sponsored by the KI Ultra Tour and will have a TWO THOUSAND dollar (yes, that’s $2,000!) pot made possible through the Kilgore Community Fund! This is such thrilling news for us and everyone that competes here with us in every tournament we have. It’s our honor to be able to make this season our best one yet with the help of the KI Ultra Tour, the Kilgore Fund, Ultimate Source, Street NS Productions, TFC Beads, and many more of y’all that have helped us out along the way to keep this awesome series going. We have weekly prizes, a huge season finale pot, great KI competitors, and a great community. PCK Season 3 is not something you want to miss! What are you waiting for? It’s FREE (yes, $0!) to enter! Come join us and let’s have an awesome Season 3 series! All sign uplinks, prize info, rankings, and more is kept in the pinned post.